Built in 1965, NorthPark Mall combines historic relics with modern day phenomena to be the dominant super-regional shopping center of choice among upscale shoppers in the Dallas Metroplex. 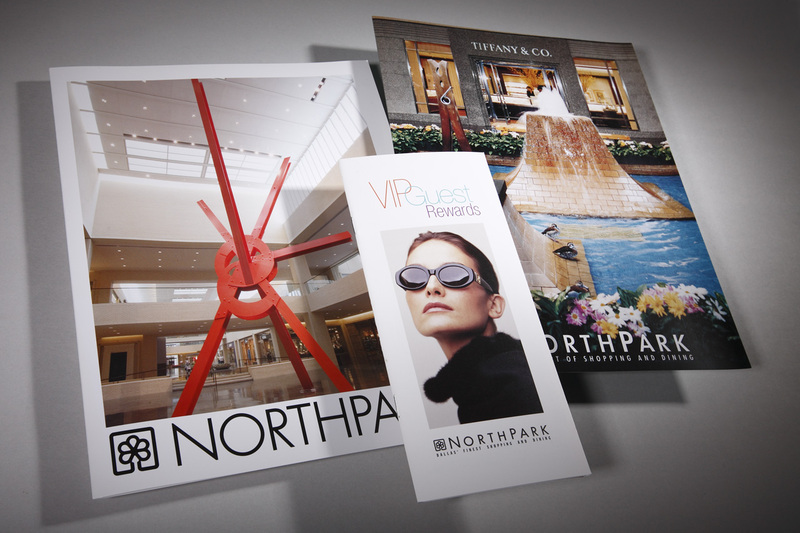 NorthPark Mall has secured the creative resources of V H Printing to continually assist them to identify, develop and present their image in promotional pieces such as flyers, brochures, newsletters, and in-store banners. Services include the ongoing design of marketing pieces with provided photos, digital strategy, graphic design, printing of the promotional pieces and direct mail resources.